IMCDb.org: 1956 Oldsmobile in "The Green Hornet, 1966-1967"
Almost impossible to be certain but maybe there is a hint of a mid 1950s Oldsmobile in the grille? Agreed - '56 Olds. 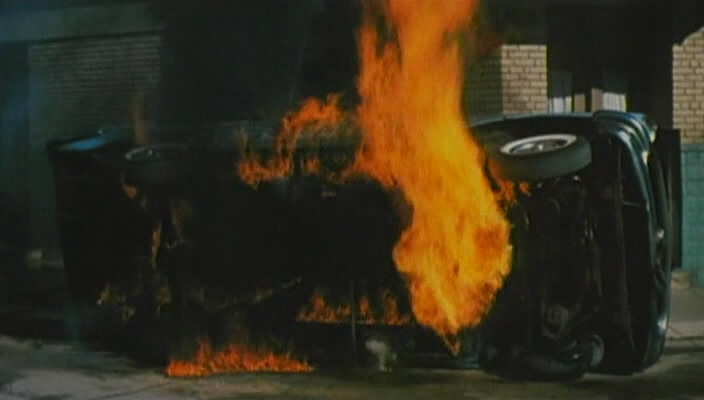 This car appears in another episode of the original series substituting for a black '66 Chrysler New Yorker in a crash scene.